ISDT is known for its simple to use chargers. But how small can it get to still have a decent charger with various options and precise balancing? 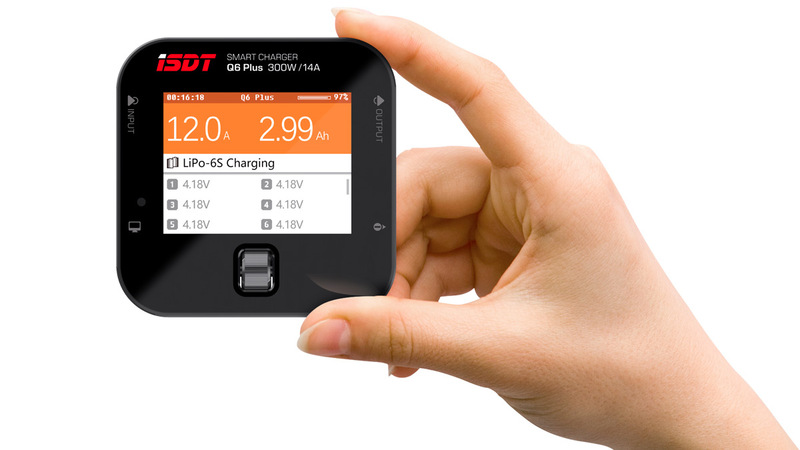 The ISDT Q6 Lite combines a small form factor with the performance of a Medium-End charger and a good price. However where did ISDT save the money? Read more to find out. 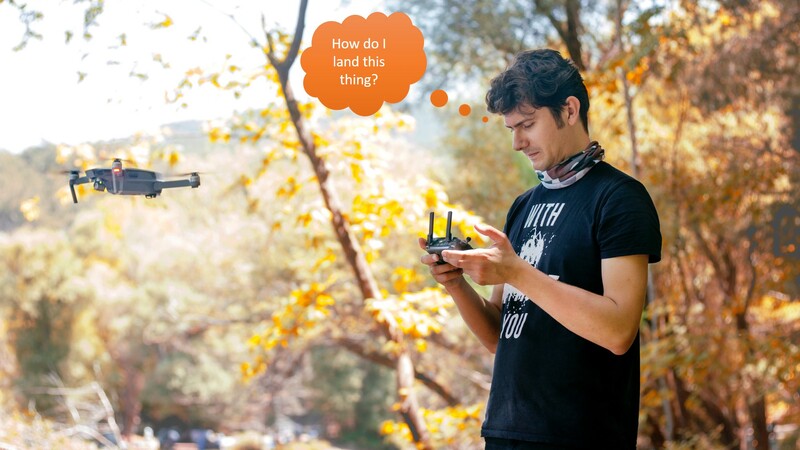 It can be powered by a Battery while you are in the field. The auto-brightness screen makes it possible to see the Display even under strong sunlight when charging in the field. 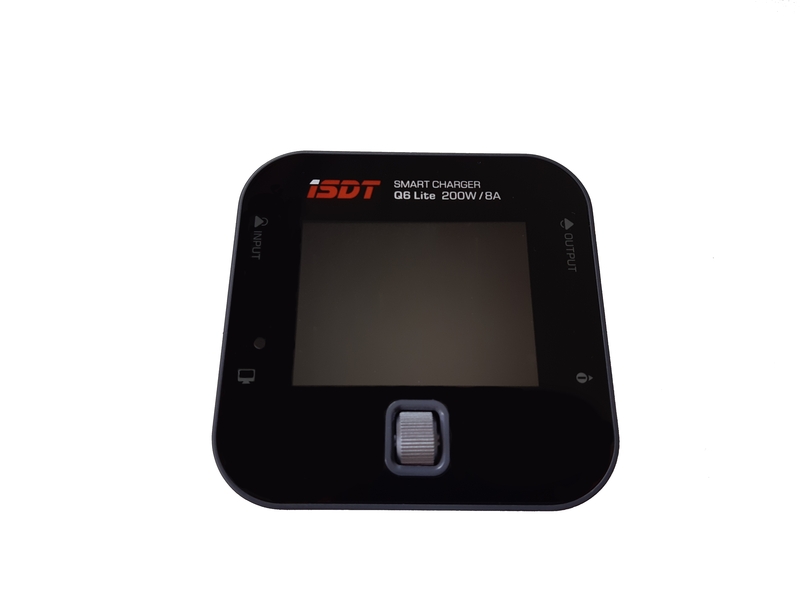 If you dont want to spend a hundred bucks on a charger and dont mind if some premium features or the perfect quality arent given, the ISDT Q6 Lite is the right Charger for you. 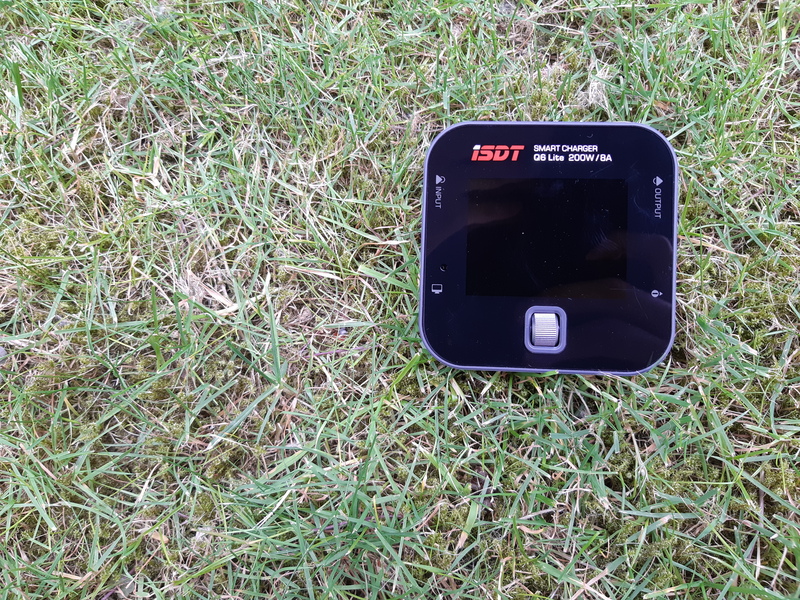 If you always wanted to stay a bit longer in the field and charge your used Battery’s again, the ISDT Q6 Lite is a good choice. 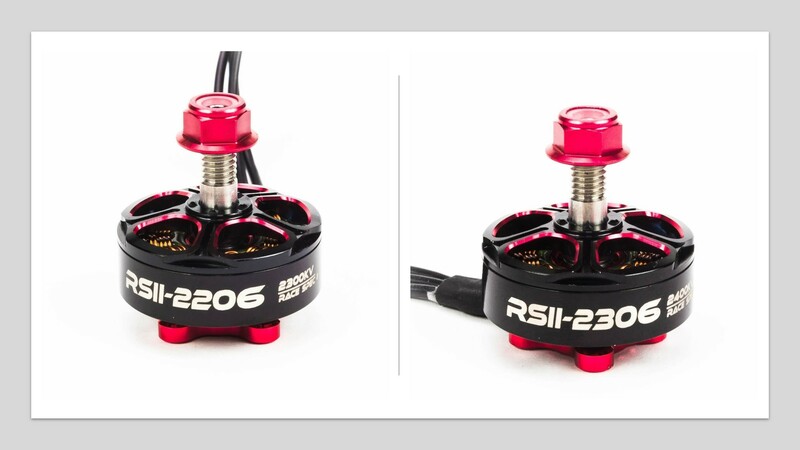 However if you dont mind spending a bit more money than the ISDT Q6 Plus or even the ISDT Q6 Pro. The 2.4″ Display of the ISDT Q6 Lite was surprisingly good. The very bright Display with the auto-brightness screen lets you use the Charger even outside under strong sunlight.That means you will not have any problems when charging in the field. The biggest downside of the Display is its vulnerability to scratches. Therefore try to get a screen protector as fast as you can if you are not a fan of scratches. Buy the screen protector here. The most outstanding feature of the Q6 Lite is probably the One Key shuttle control. Combined with the easy to use and well designed interface it is really easy to navigate through the menu and provide the user, as ISDT said, a “delightful experience”. Although the One key shuttle control is one of the Q6’s best features, it is at the same time the worst. While using the charger you will start to notice that the control wheel sits very loose in its socket. Also while charging the control wheel will start to heat up and become very hot which is not very annoying but not a feature that I want to pay for. Lets now come to the most important evaluation criterion of a Charger. You guessed it, its the actual process of charging. The Q6 Lite charges with max 8 Amp and balances with 0.8 Ampere per Cell. This is enough to parallel charge five 1500mAh battery’s at 1C (1.5Amps). However if you have lots of battery’s and you want to charge them all you will notice fast that the Q6 Lite has its limits. This Problem gets counteracted by the wide voltage input range of 7-32V makes it possible to power your charger by another Battery or even your car Battery. 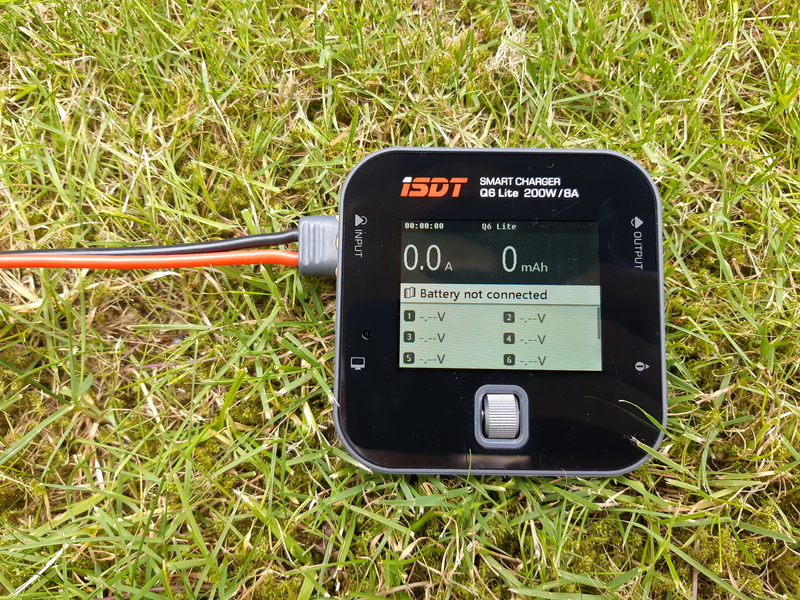 ISDT has made a solid charger that is capable of Indoor and Outdoor use. 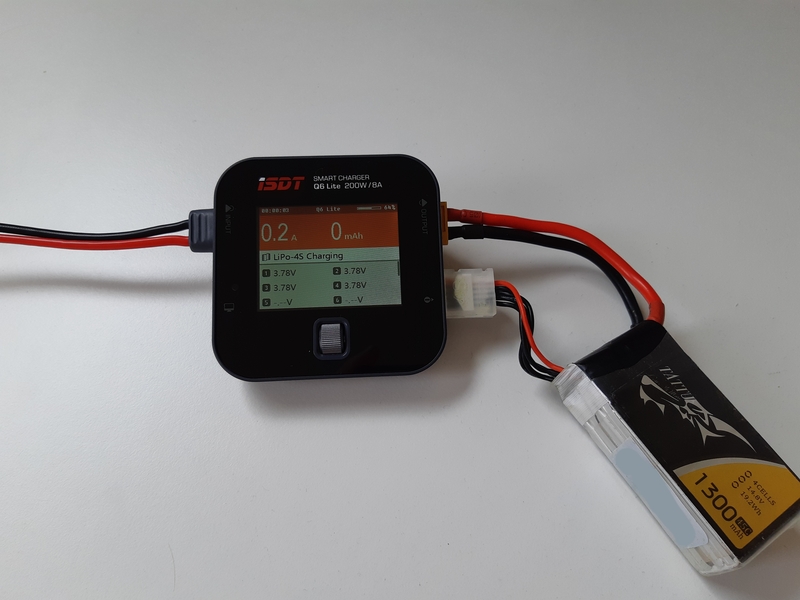 Its features make it possible to power the Charger off a 2-8 Cell LiPo and even multiple Battery’s can be charged at once with it. Only a few small flaws like a bad quality of the control wheel or a to scratch vulnerable display are the downsides. The ISDT Q6 Lite is probably one of the best Chargers for its price but if you want top performance you will need to spend some more money.